It seems Peter Thiel may be on to something as there's been a surge in American interest in immigrating to New Zealand in the wake of the election of Donald Trump. The Associated Press dug into some data via a Freedom of Information Act (FOIA) request and found that in the 12 weeks following Donald Trump's election (November 8, 2016 through January 31, 2017), 170 Americans applied for citizenship to New Zealand. That's, admittedly, a low number, but it marks a 70 percent increase over the same time period from 2015. Additionally, according to data the AP received from the New Zealand Department of Internal Affairs, in the two days after the U.S. election in November (November 8-10, 2016), the number of Americans who visited its website to find out about citizenship rose to 4,146 from 305 on the same two weekdays a month earlier (October 4-6, 2016). And, depending on your skill set, you could be eligible to participate in the country's Looksee Wellington program, an attempt to import tech savvy workers. Overall, New Zealand seems pretty welcoming to Americans, at least on the web. But there are drawbacks to living on the beautiful island at the bottom of the world. 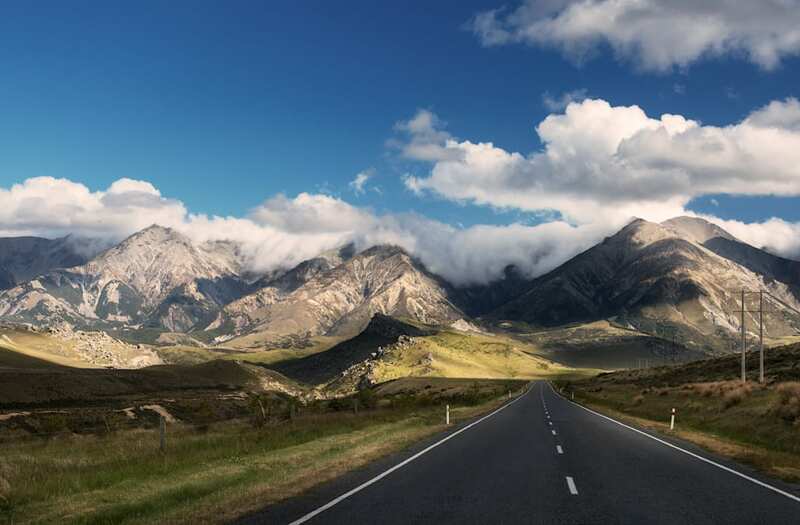 There are 6,000 miles between New Zealand and the U.S. and a non-stop flight from Los Angeles to Auckland will run you around 13 hours, ruling out any quick weekend getaways to see the parents. And those numbers pale in comparison to, say, the surge that the Canadian immigration site experienced on Election Night. Tens of thousands of people flocked to Canada's immigration website in November, enough traffic to crash the site. According to Migrant Policy, the most popular countries for immigrants from America are Mexico (877,000) and Canada (343,000). New Zealand has 22,000 American expats, according to the website. That's more than, say, Argentina (5,000) and North Korea (1,000), but it still trails many more popular countries like Japan (50,000), Spain (40,000), and the U.K. (212,000). Still, New Zealand has a lot of cachet and it's not too hard to get into, but it'll effort and energy to get there and you'll be isolated from friends and family (but not sheep). So, basically, New Zealand is the indie rock country for people looking to flee America. WATCH: Ditch your nail and hammer. Build your dream house in just 2 days using only wooden bricks.